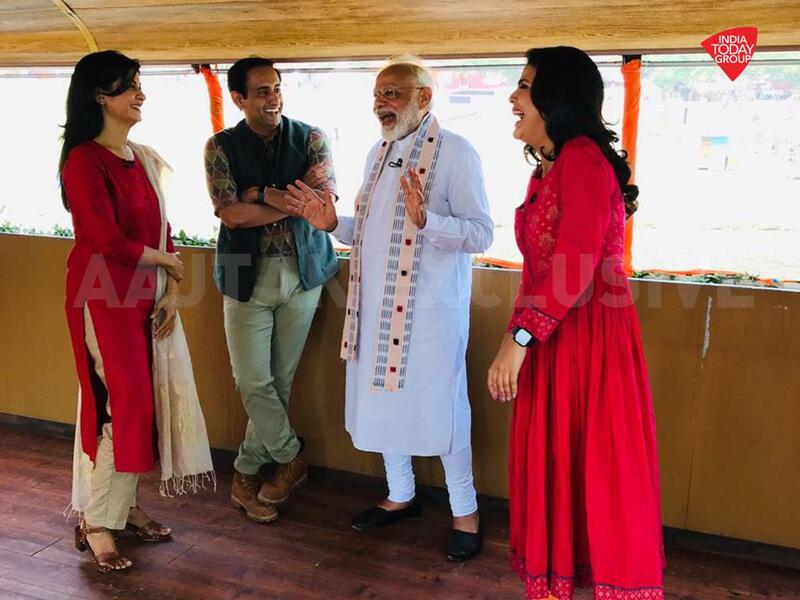 #LokSabhaElections2019 Does the Hindutva card help PM Modi overcome the Dalit-Yadav-Muslim combined? Panelists debate on #TheBurningQuestion with @gauravcsawant. Tune in to India Today TV at 7 pm. India Today’s @loveenatandon brings us some important information regarding Nirav Modi’s remand hearing. Take a look. #LokSabhaElections2019 A united Opposition, with 3.90 lakh votes, will lag behind Modi by about 1.9 lakh votes. #LokSabhaElections2019 -- Darbhanga will go to polls on April 29 along with Ujiarpur, Samastipur, Begusarai and Munger seats. India Today's @sardesairajdeep gives you a taste of the election flavour from the financial capital of the country. "Chowkidaar chor nahi, balki pure hai," @yogrishiramdev said. #LokSabhaElections2019 BJP workers danced on the streets chanting 'har har Modi' slogans.